This is an earlier variation of Riche's Chiens Policer which he exhibited at the 1914 Salon. It is a very large impressive group of two German Shepherds and is wonderfully modeled and finished in a gilt patina. The character and expression that the artist has captured in the dogs is uncanny. 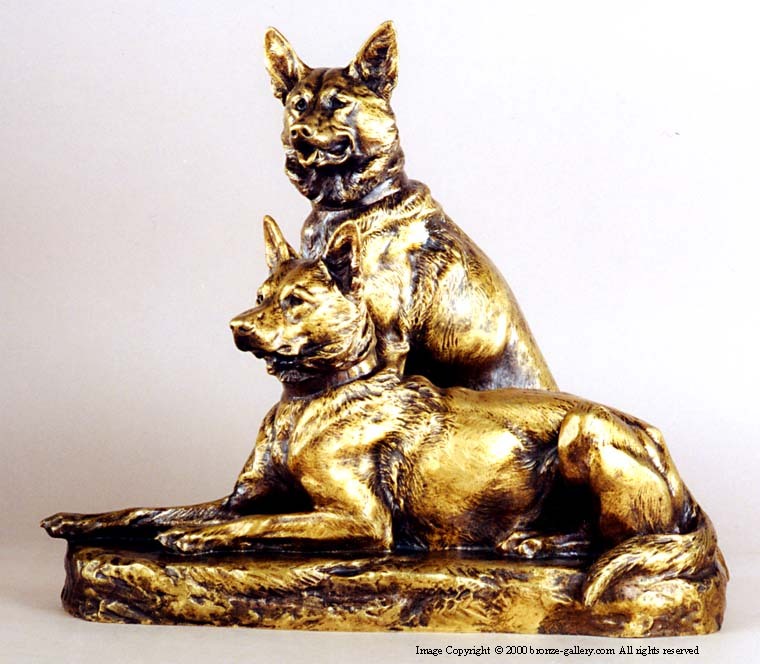 Louis Riche is one of the finest sculptors of the German Shepherd breed. This bronze was cast by the Colin Foundry in Paris and has their foundry seal. Deux Chiens Policers is illustrated in the book Animals in Bronze by Christopher Payne as illustration D117 on page 243.